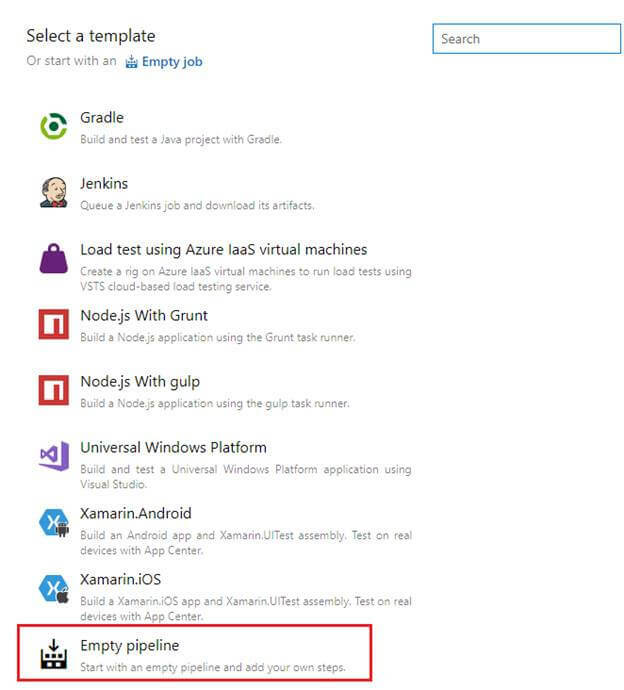 In this article, we will explore how we can implement Continuous Integration using Azure DevOps to automate the SPFx solution build process. Implementing SharePoint Framework solutions is easy. However, maintaining the SPFx solutions for their integrity as they grow is always challenging. When an SPFx solution is being worked on by a team of considerable size and it undergoes continuous development efforts, testing and deployment of the latest released package is a huge task. Setting up CI (Continuous Integration) and CD (Continuous Deployment) helps to automate the process. Continuous Integration (CI) is the process of automating the build and testing of code when a developer commits changes to source control. Commit to source control triggers an automated build which grabs the latest code from version control, builds it, and runs tests on it (if configured). Below are a few benefits of implementing CI. Build definition contains the definition and configuration for the build. Follow the below steps to create a new build definition. Select your project to set up a build definition. 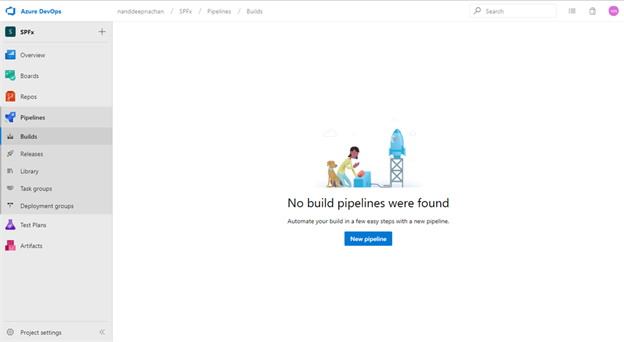 From the left navigation, click Pipelines > Builds. Select the source to connect to your source repository. Select your project and branch to build. Click "Continue". The build definition has a default agent. We can add multiple tasks to the agent to define our build. On the default agent, click the + sign. SharePoint Framework solution uses third-party npm packages. We need to restore those before starting the build process. Verify if the command is set to install. Set Gulp file path to gulpfile.js. Set Gulp task as bundle. Set Gulp arguments to --ship. Set Gulp task as package-solution. Azure DevOps build does not retain any files. The .sppkg file created from the above step needs to be copied to the staging directory to be published to release pipeline. Set “Source Folder” to $(Build.Repository.LocalPath)/sharepoint/solution. Set target folder to $(Build.ArtifactStagingDirectory)/drop. Add “Publish Build Artifacts” task. Set “Path to publish” to $(Build.ArtifactStagingDirectory)/drop. Set “Artifact name” to drop. Save the build configuration. In the next article, we will provide the output of the build to Release Management so as to deploy the artifacts to the SharePoint. Continuous Integration helps to automate the build process when a solution being worked on by a team is undergoing continuous changes. 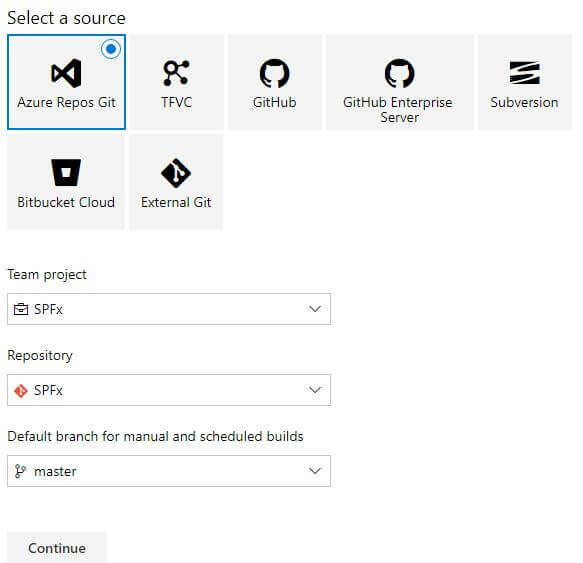 Azure DevOps helps to automate SPFx solution builds.